For the past two years the make up brushes I've been using have been from Sigma and they have served me well but i thought it was finally time to invest in a new set. Unless you've been living under a rock you'll know the hype surround the Real Techniques brushes and i thought now would be a better time as any to finally get my paws on some and try them for myself. These brushes are actually quite expensive and i know you get what you pay for but still i just couldn't justify it. Then i stumbled across another blogger (sorry i can't remember who) doing a review on these brushes after buying them from the USA (with a 10% discount) i knew that's where i needed to go. iHerb is a website i'd never heard of and considering the products they usually sell i was surprised to see the Real Technique brushes there but hey not complaining. If i spent over $40 i received 10% off which saved me $11.80 including shipping making these brushes altogether a mere $40.17 which in turn saved me upwards of £30 if i was to buy these in the UK. So not bad huh? Shipping took a couple of weeks which is standard and so far I've no complaints at all and i already want to go back and buy the rest of the collection. After purchasing these beauties an email popped in my inbox with a unique code that gives first time buyers 10% off too (or %5 for orders under $40) which is pretty sweet if you ask me. Just use the code LDT423 at the checkout and et voilà! Let me know if you already own these brushes or decide to purchase them as i'd love to hear your thoughts! wooops, just had a cheeky order. wanted these brushes for ages but couldn't bring myself to pay full whack. now thanks to you, just got the core collection and blusher brush for £21! went for the tracked delivery in the hope ill receive them quicker. I brought some of these brushes last summer when they were on buy one get one half price at Boots. I have been waiting for them to go on offer again for ages but this offer is so much better! Thank you so much for sharing this! Thanks so much for posting this! I have the stippling brush which I use for my foundation but now i'm happy that I can buy some more at a cheaper price than buying them here in the UK! 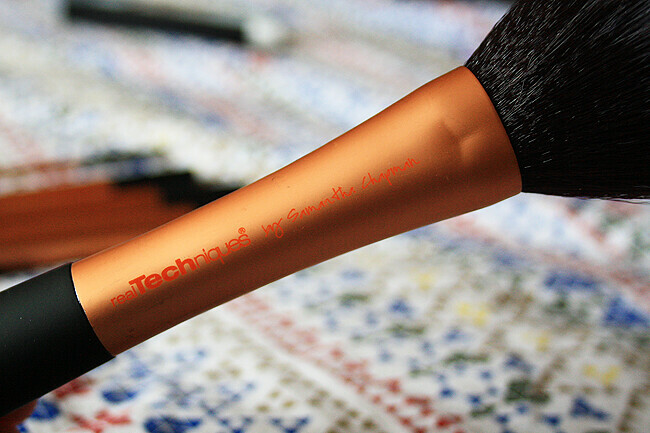 We love these brushes! Want to collect the whole set! I'm making an order on there as we speak! I'm buying the starter set, powder brush and stippling brush. For all that it comes to about £25 which is insanely good considering in boots the starter set is £20 alone! Thank you for the website and the code! RT brushes have definately been my miracle product of 2012 and I now favour them on myself and in photoshoots over my other brushes. I've found all their brushes to be great but I'm especially in love with the expert face brush, buffing brush and stippling brush. Can't beat them! I love these brushes so much. Only have two at the moment but have my eye on so many. Looks like your picks some good ones! 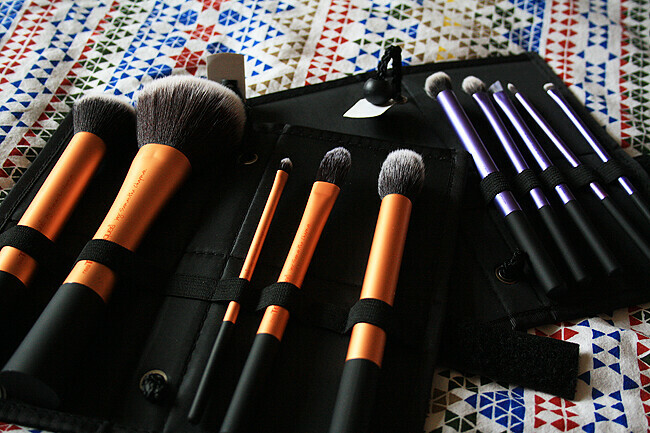 Ive being after the shadow brush kit for forever know so I think its about time I took the plunge! 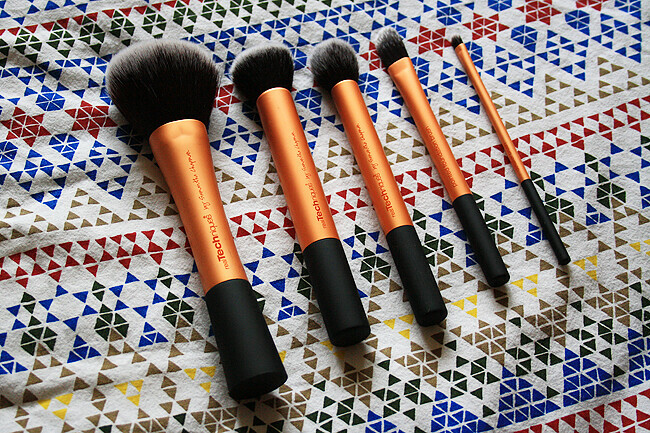 To me they are alot better than my old trusty sigma brushes. Thanks for sharing I've just purchased the travel essentials and the core collection from iherb thanks for sharing great discount!! I already have the other brushes and I love them. 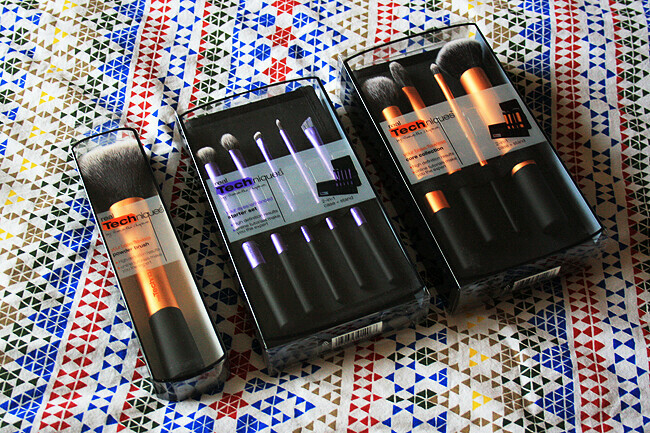 I love love love these makeup brushes! They are so affordable and lovely to use...can't have it any other way! I haven't got the powder brush yet so that is probably my next purchase! I love my Real Technique's brushes! I have the core collection and there's just nothing softer to use on the face. I'm the opposite way though, I'm yet to try some Sigma brushes! I've been wanting to try these for a while now, they seem really good! I've been wanting to try real techniques for a while. Im currently using a hodge podge of cheap brushes and they're just not doing the job :( Definitely going to have to give these a go! 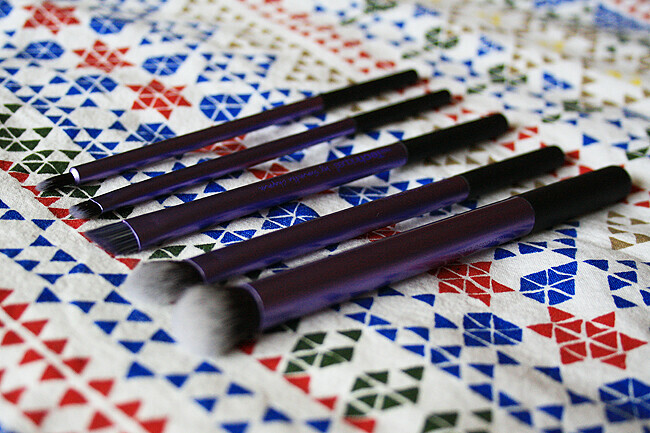 These are my all time favourite brushes! so good! Ahhh wish I had seen this sooner! I've just spent my Boots advantage points on a new set! It's so frustrating that in the UK we have to pay through the nose for everything! This is just great! :) Looking for a brush to replace my old brushes! Doesn´t hurt at all that the price is right! Thanks for this! Oh wow! I've been off your blog for a while but came over & saw this post! I found these brushes in a home store here in the US....it was weird but I needed new brushes and these were pretty affordable so I picked them up. I LOVE THEM! I didn't know they were an awesome brand because I usually just pick up cheapo brushes...but these are great! I'd love to have the whole set. Right now I only have a few. Thanks for sharing! I have nearly all the brushes and I prefer them to my MAC ones! great deal on these, bought the face set only. I've got the stippling brush and I quite like it but I don't have any nice foundation type brushes. Thanks for the tip! I wanted these brushes for ages, but decided against and opted for some MAC brushes..
Has anyone who ordered these had to pay import tax? If so was it expensive? Also which delivery method would you recommend to the uk? did you have to pay any custom or extra charges?